There is an outgoing debate in the cryptocurrency community about the merits of day trading cryptocurrencies as opposed to holding or “HODLing” them. The strategy of buying a cryptocurrency and then holding it for a long term hasn’t been successful recently. Performance of just holding was great only in good times when the market kept going up but it turned sour after its peaking on Dec 18th 2017. Bitcoin has taken a big dive from its peak at almost $20,000 to hovering around $7,000 a coin for some time now. Other cryptocurrencies such as Ethereum and Ripple, have fared worse, down 80 percent and 92 percent, respectively. Many of those caught up in the crypto fever of late 2017, who bought coins close to their peaks, like some of the cryptocurrencies themselves, now lost 90 percent of their money. Don’t HODL; Trade! This is the philosophy behind LUCRE, an exclusive automated trading system for cryptocurrencies, created to outperform the strategy of just holding the cryptocurrencies. The algorithm (or Algo) is developed by a team of experts with 8 years of algorithmic trading experience. 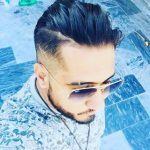 It runs on a Metatrader trading platform and is designed to generate profits in all market conditions, whether market goes up or down, through buying and selling at every recognized opportunity. The power of automated algorithm is in eliminating trader’s emotions, mistakes of chasing coins on the move, and the need of continuously watching the markets. It also gives the chance to ideally manage the risk to avoid negative outcomes, because all trades are placed with protective stop losses. In fast moving markets this can mean the difference between a small loss and a catastrophic loss in the event the trade moves against the trader. 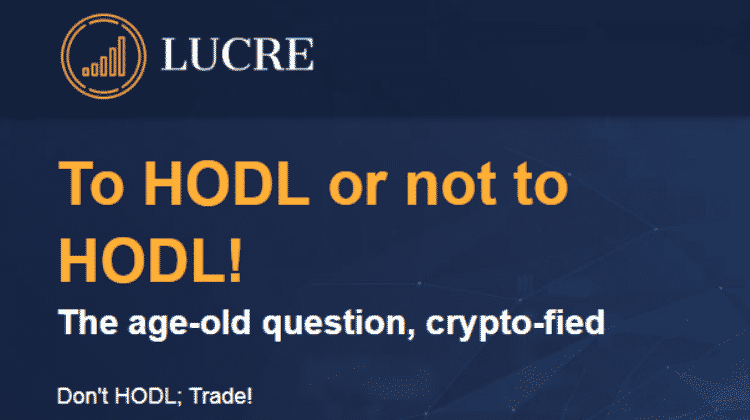 Investors can participate in a crypto trading algorithm through the upcoming LUCRE Token Sale. LUCRE’s utility token (LCR) will track the performance of the algorithm. The price of the LCR token will be updated regularly to accurately reflect the value of the underlying crypto assets being traded by the Algo. LCR token will be traded on the crypto exchanges where it is listed. The token pre-sale will be held from October 15th for the next 30 days and the main sale will begin from November 14th for the next 4 weeks. A total of 12.5 Million LCR tokens will be produced out of which 10 Million will be available for sale through the Token Sale. The investors can get 30% off by participating in the pre-sale. The discount in the four phases of the main sale will be 20%, 15%, 10% and 0% respectively. Participants can receive a percentage of benefit, proportional to initial contribution, made by the algorithm on the Trading Pool. All the LCR tokens deposited in the pool will be managed by LUCRE algorithm and trading team. 75% of the profit generated in the pool will be distributed to the Token sale participants. The other 25% will be reinvested in the Trading Pool to increase the fund capital, and consequently increase the next benefits that are generated. Every participant who has contributed more than 1 ETH during the token sale will receive buy/sell/close signals of high quality every time the LUCRE Algo executes a trade. Use the signals for manual trading with any broker on any exchange. Users can use some of their Fiat funds with Autotrade algorithm, with all benefits going directly to the participants. Fully automated system compatible with all Crypto exchanges and Forex CFD brokers allows connect LUCRE Algo with your account without a need to move your funds.